Are they worth hemming up? Are they $8.00 well spent? i just couldn't resist it.... 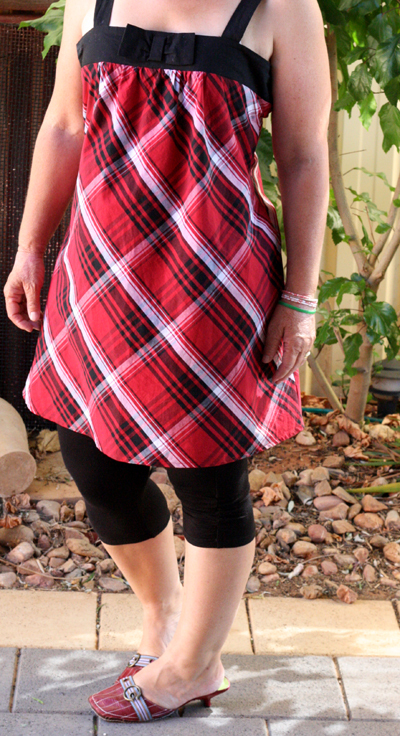 I'm such a sucker for tartan.....and red tartan at that! leggings and boots with a jacket over the top and a long sleeve T underneath. The dress will be awesome in Summer AND Winter! Gorgeous! 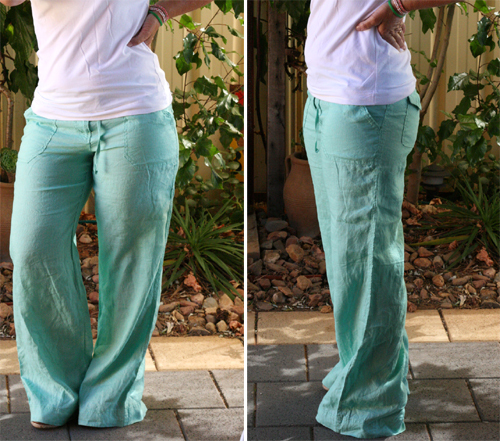 I love the pants - definitely keep them and hem them!! Yes love your dress and they match perfectly with your billies!Love that little bow too. I would also hem your pants...they do look so comfie! ooh, love the dress, it looks stunning on you! Oh cute dress Mardi! I say keep the pants too...love the colour!